Good morning all you lovelies! 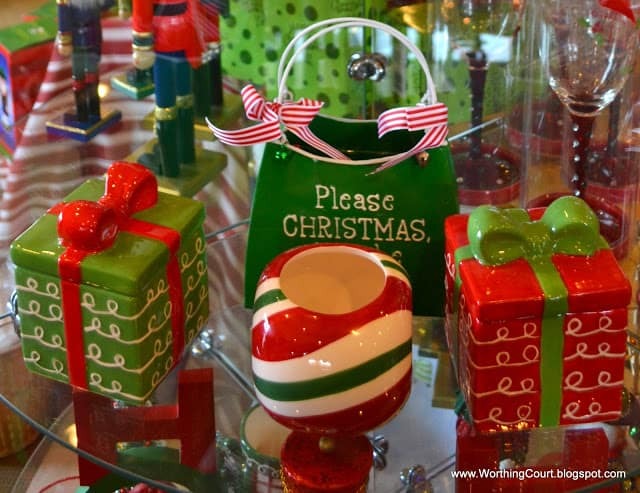 I hope you’ll find this re-post of Christmas decorating tips from a professional Christmas designer helpful as you set about getting your home ready for Christmas in the coming days. 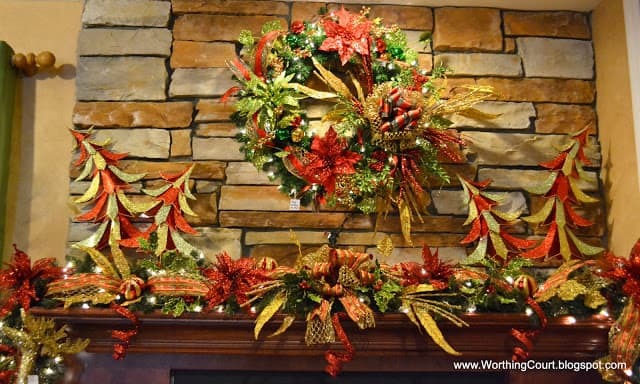 This post is full of tips and how-to’s for decorating wreaths, garlands and trees. 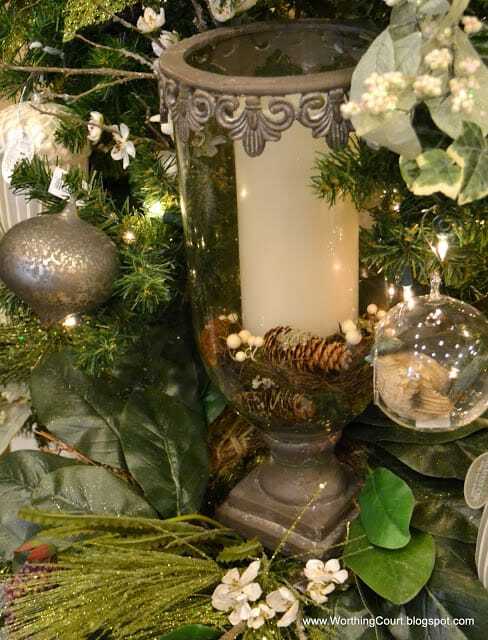 I’m back today with some great Christmas decorating tips from one of Caryl’s designers. 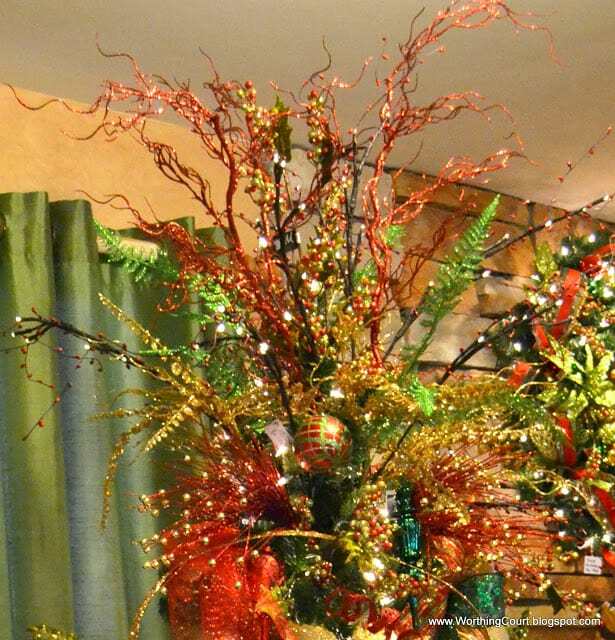 Sue has been a floral designer for 30 years. 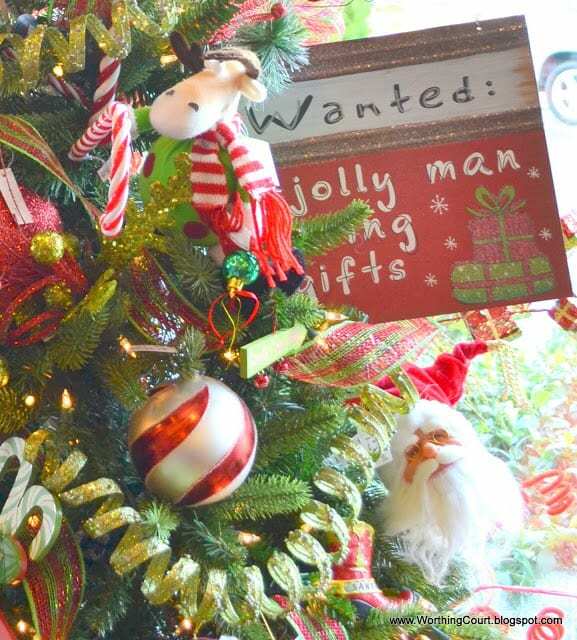 Here she generously shares tips on decorating your Christmas tree, creating a tree topper, creating a wreath and creating a garland. 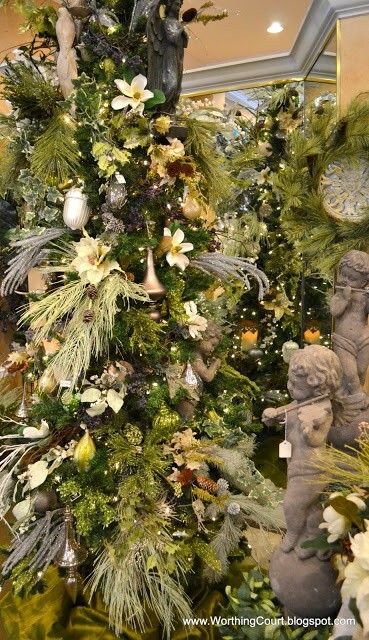 Do you love a lush, full tree? Oh my goodness – I do! 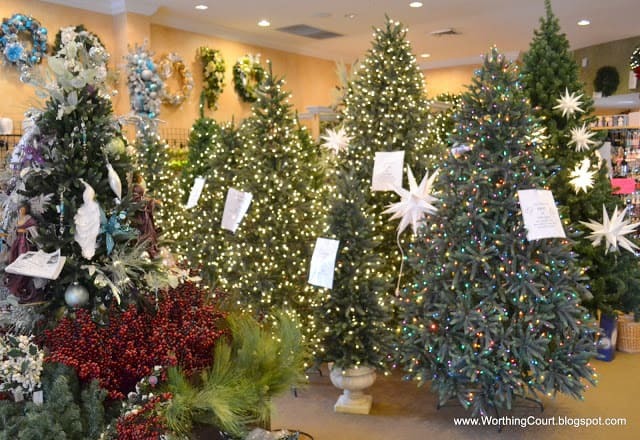 These tree decorating tips will help you create that look, but they can really be applied to any style of tree decor that you prefer. #1. Mix the size of the ornaments on your tree. Don’t use all small or all large. #2. 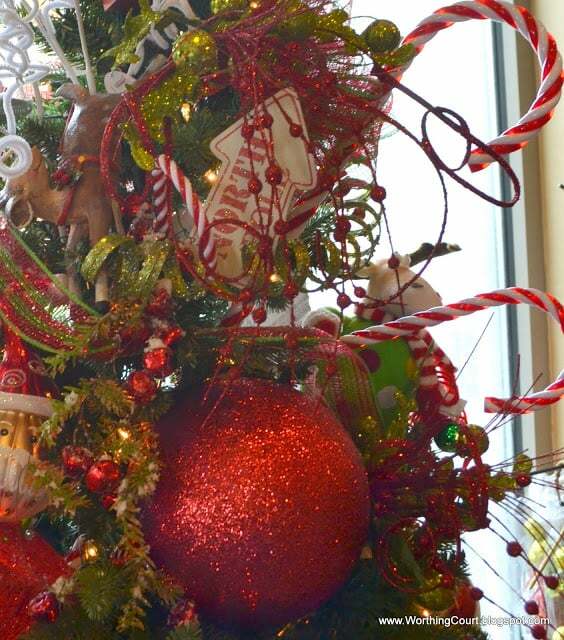 As you mix the size of your ornaments, place the larger ones closer to the middle and lower part of the tree. #3. Don’t hang all of your ornaments on the outside of the tree or on the ends of the branches. Hang some of them toward the interior of the tree. Large orbs look great sort of pushed into the branches. This will give your tree depth and interest. 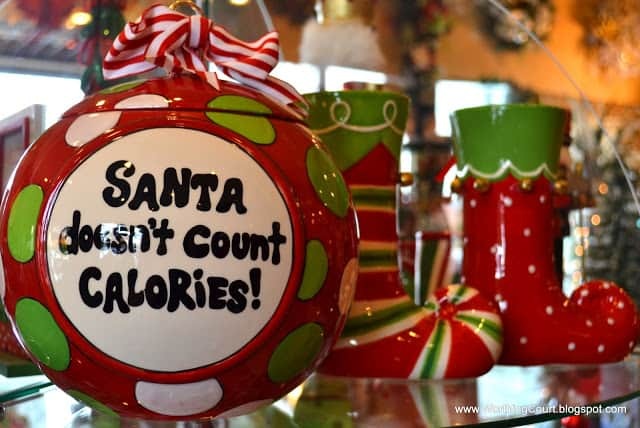 This same “rule” applies to adding lights to your tree. #4. 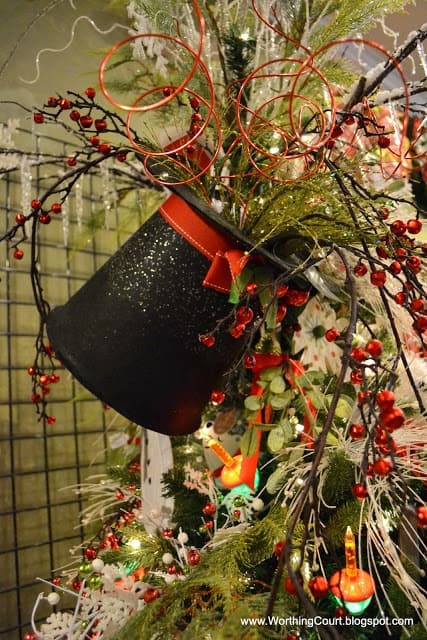 Use floral wire, pipe cleaners or even the tree branches themselves (if you are decorating an artificial tree), to secure large items onto your tree. #5. Don’t be afraid of using non-traditional colors. Let your tree reflect who you are, not what you think others expect. #6. 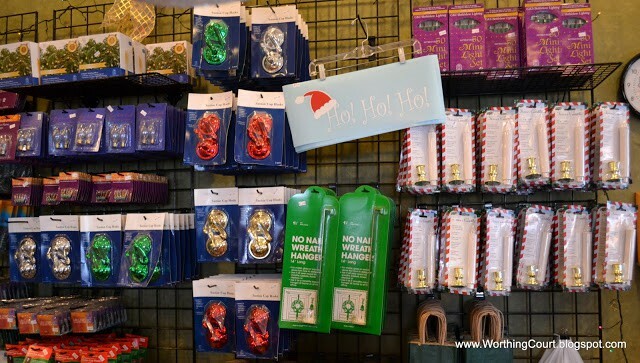 Repeat elements used in your tree topper on the rest of your tree. 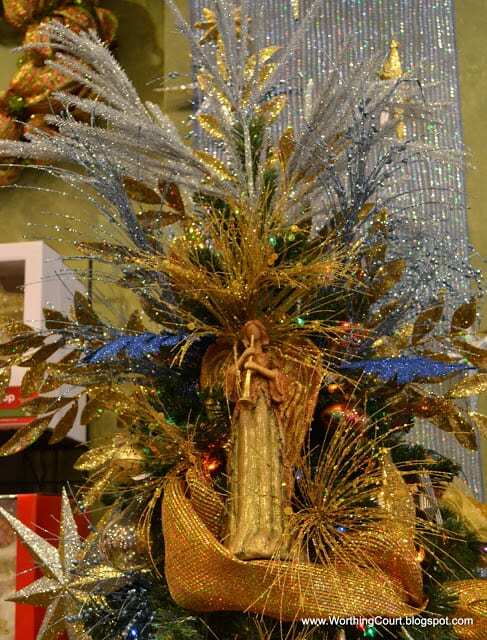 These tips will help you create a tree topper that you’ll be proud of! #1. 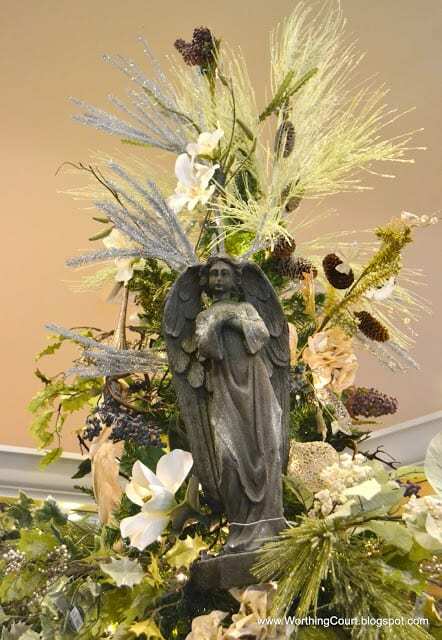 If you have a specific item, such as an angel, that you want to use as a tree topper, don’t place it on the very top of the tree where it is more difficult to admire. Instead, bring it down a little. 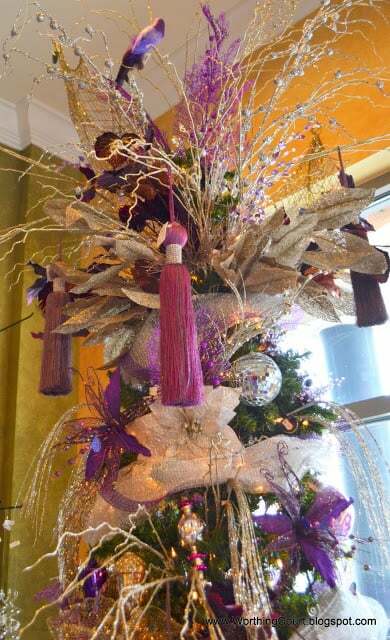 Wire it to the tree if you need to and add decorative sticks or sprays around/behind it to help draw the eye. #2. 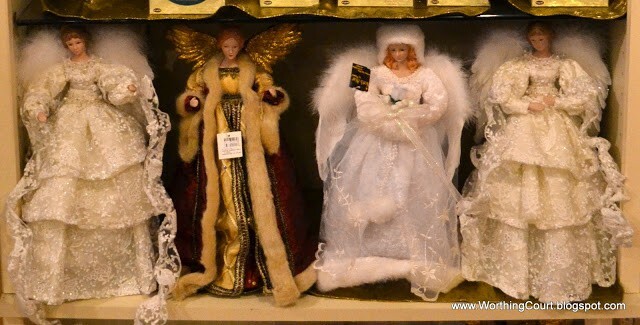 Angels and stars are beautiful and remind us what the season is really all about, but you may also like something a little different. 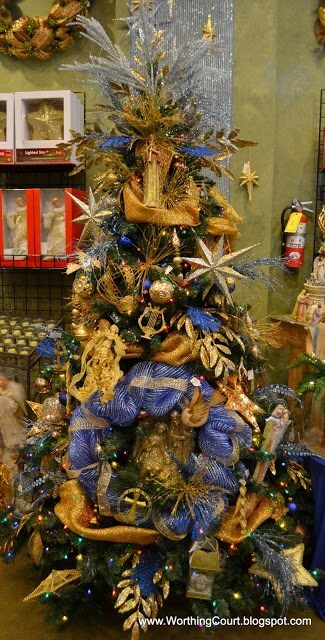 ~Start by coming down slightly from the very top of tree and place an odd number of thin, spikey sticks around the tree. Use a minimum of three. ~Next, select sticks that are still spikey in nature, but are a little more full. Place them in between and a little lower than the first sticks you added. ~Repeat this process, with the sticks/sprigs growing slightly more full with each successive layer. 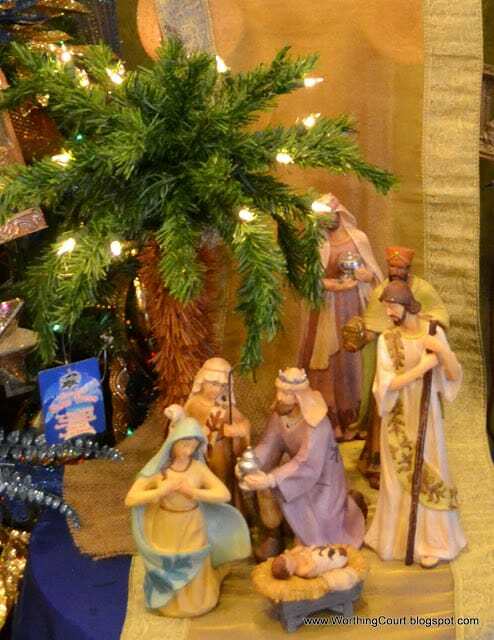 ~Your finished topper should take up roughly 1/5th of the overall height of the tree. ~You should use this formula even when including a larger item as part of your topper. #4. 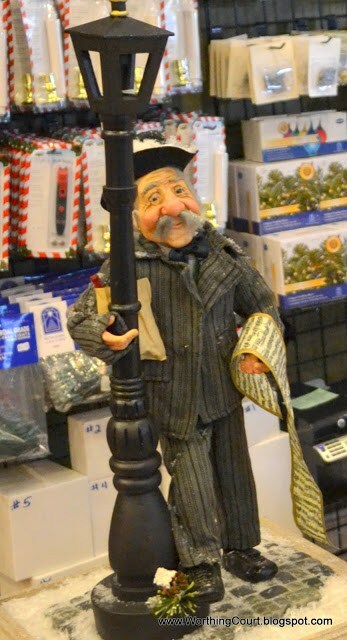 Create even more interest in your topper by adding additional elements to it. See the bird and tassels added to this topper? #5. Think outside of the box and have fun with your topper! 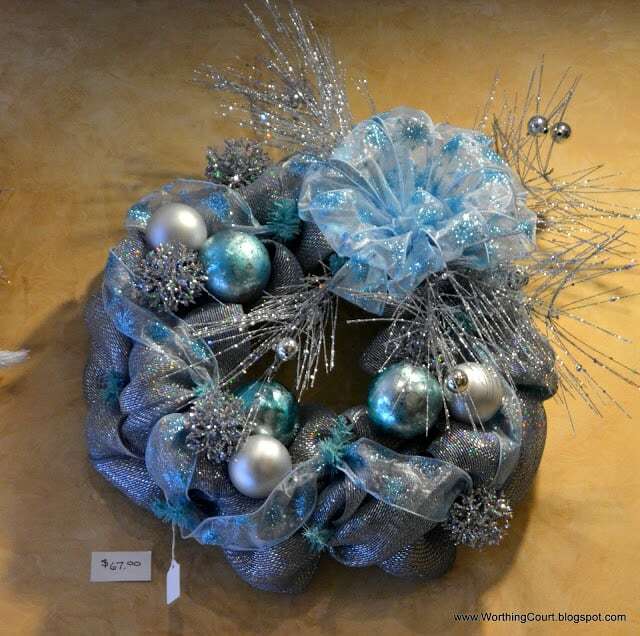 These general guidelines from Sue are applicable to most any style of wreath. #1. 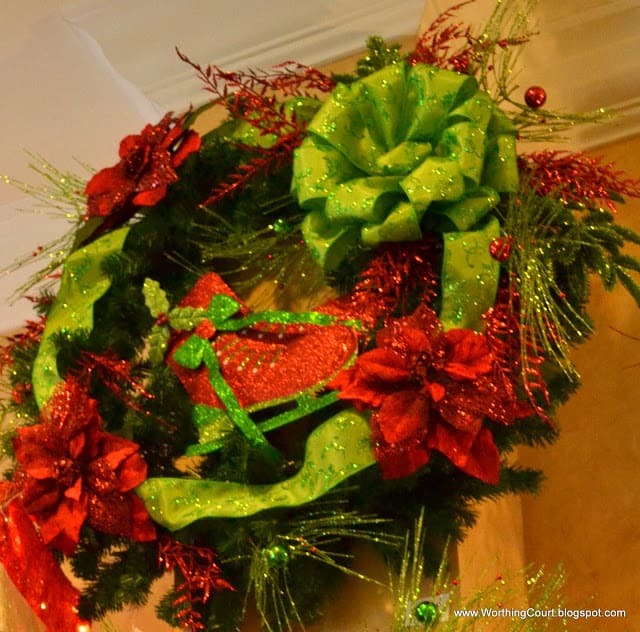 Start your wreath with a bow. Before you add items to your wreath, decide where you want the bow to be when you hang your wreath – to the side, on the bottom or on the top. 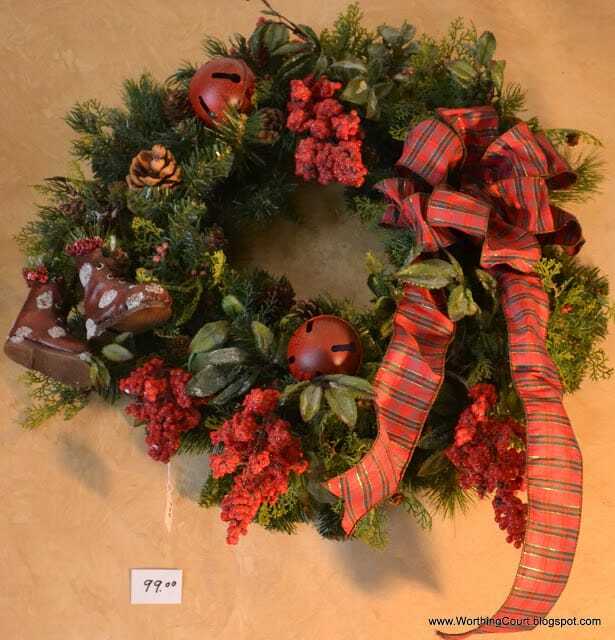 Now is also the time to weave ribbon coming from the bow and going around the rest of your wreath, if you so desire. Bows with long tails are equally appealing. #2. 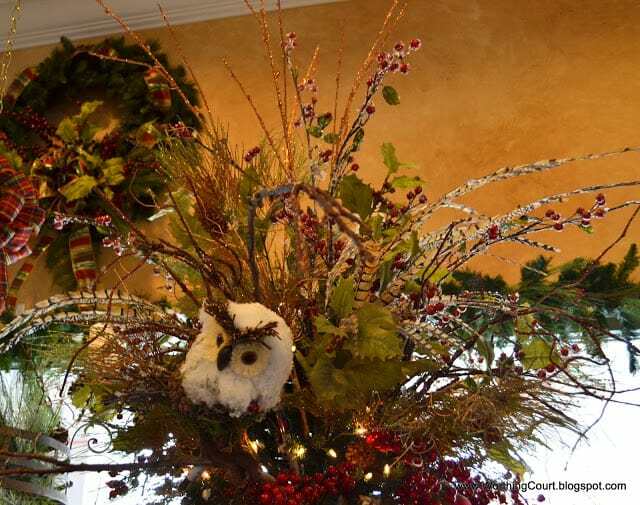 Create a spray around the bow with the addition of sticks and sprigs. #3. 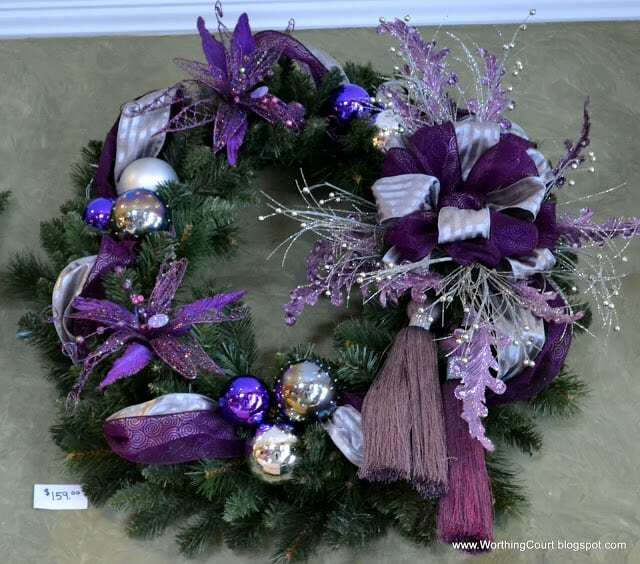 Next, add whatever items to the wreath that you desire. The trick is to not make it appear too symmetrical in general. Always use an odd number of items. #4. 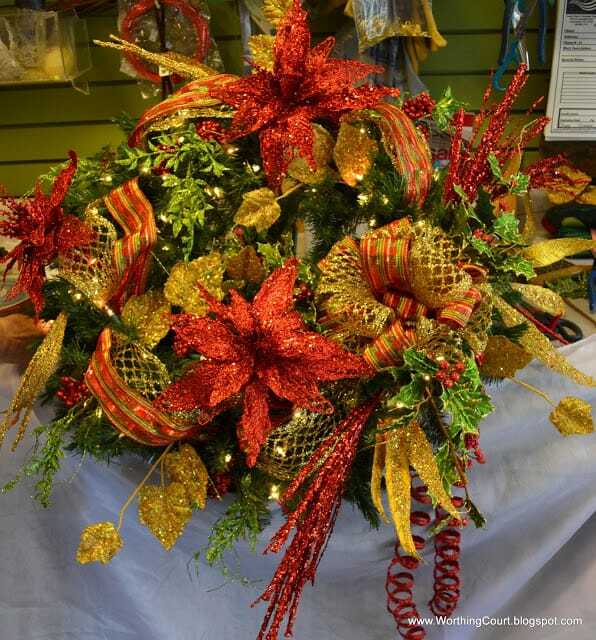 Don’t be afraid to make your wreath full and lush. It will look amazing! 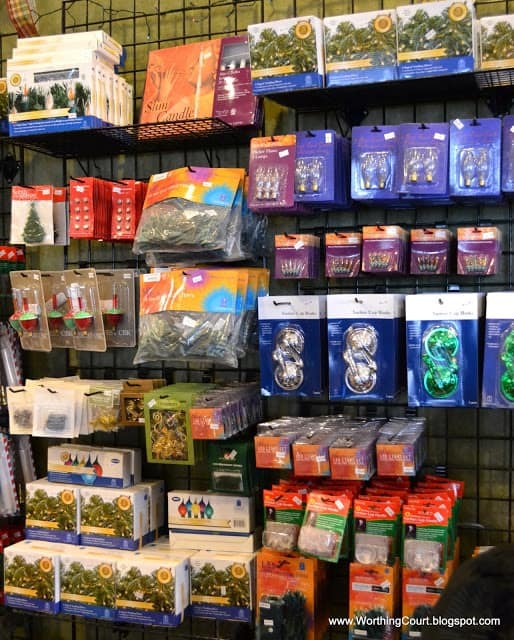 Whether outdoors or in, what better way to compliment your Christmas decor than with a garland? #1. A garland is one place where symmetry is important, unless you are intentionally going for an asymmetrical look. 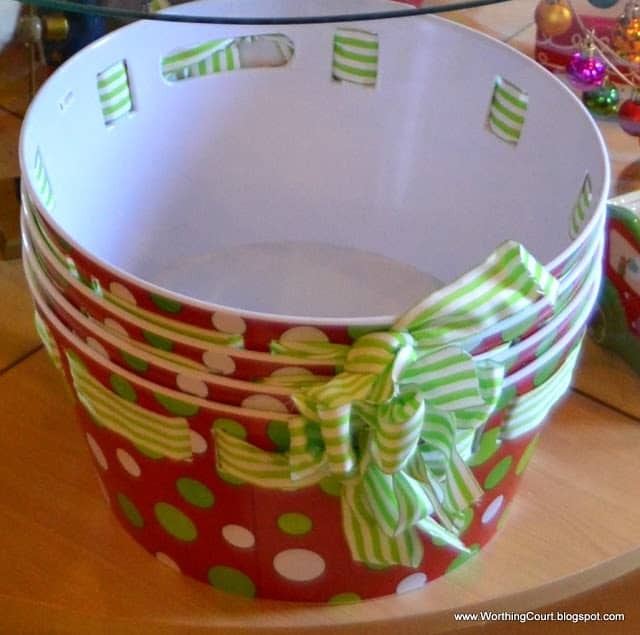 Start by placing a bow at the center of the garland. Weave additional ribbon through the length of the garland on both sides of the bow. #2. Add sticks and sprigs around the bow to help draw the eye. #3. 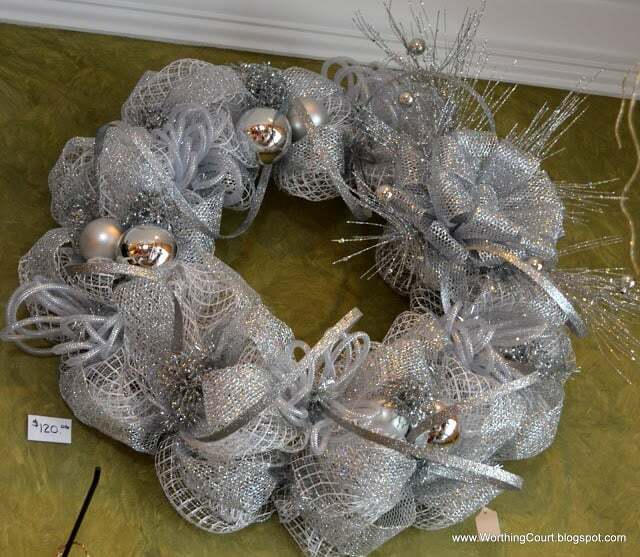 Add additional elements to the garland by measuring their placement an equal distance from the bow. Eyeballing is fine – you don’t have to pull out a measuring tape! #4. Create interest by using elements of different dimensions. Layering is key. 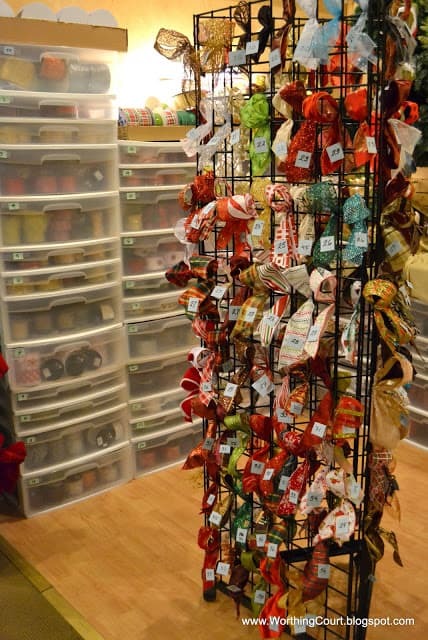 If you aren’t into creating your own wreath or garland and don’t see a premade one that you adore, no worries! Sue will create one a custom one just for you – made specifically to your taste. 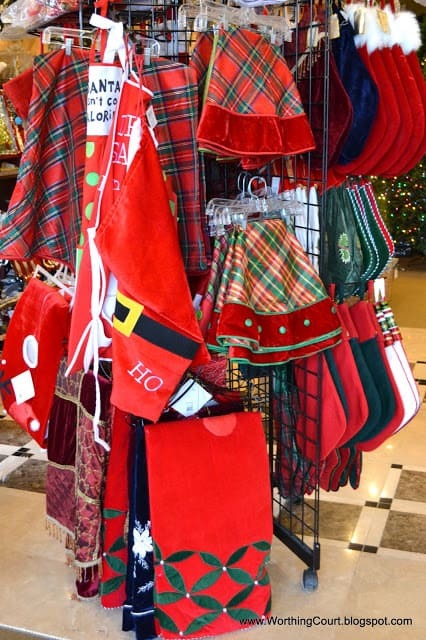 Decorating your tree or house for Christmas not your bag? Caryl has you covered there too! She is a full service shop offering design, installation and take-down services. Caryl doesn’t only have tree decor. She carries all kinds of cute accessories too! 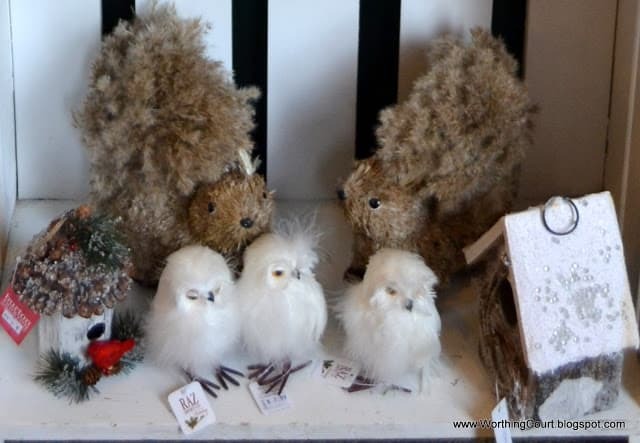 I think these owls and squirrels are adorable! 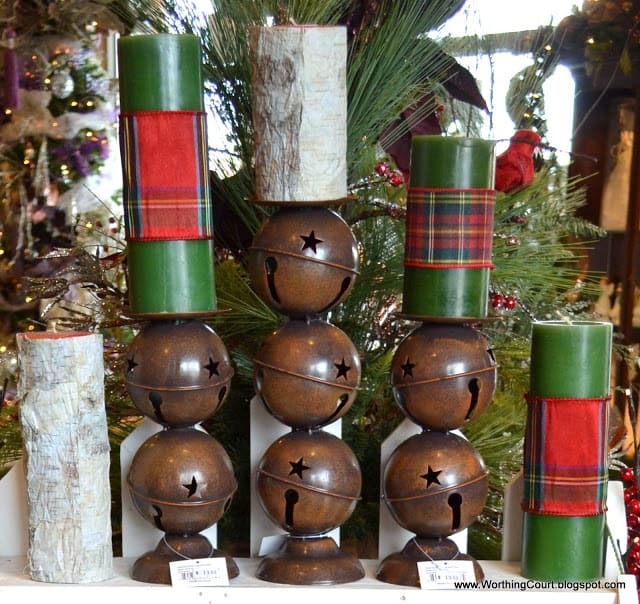 The candles atop these jingle bell candle holders look great with Christmas ribbon wrapped around them. 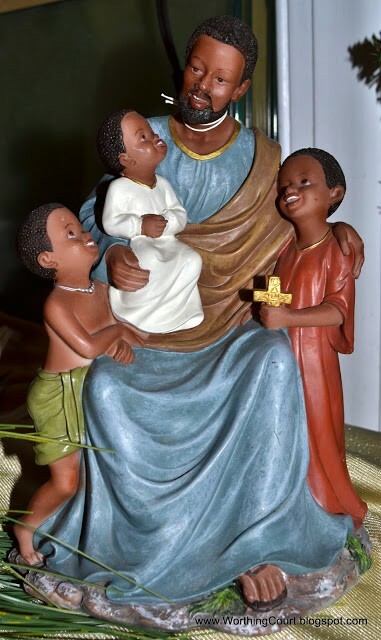 Angels, figurines and nativity scenes. 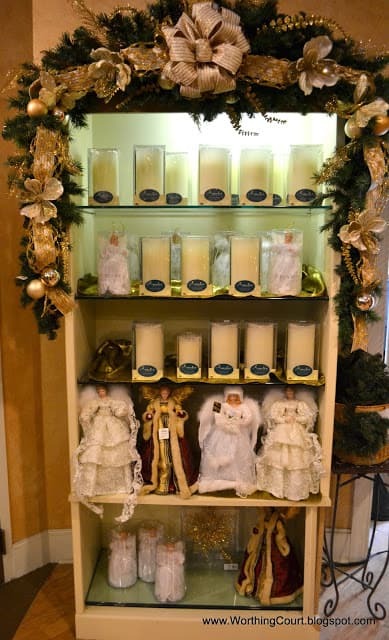 Remote controlled, battery operated candles. All kinds of gadgets and accessories. 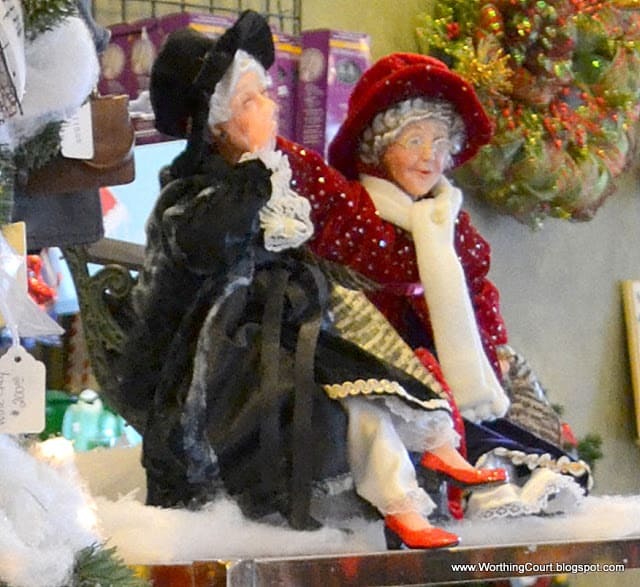 Oh – you’ll never guess what else Caryl sells. Why Christmas trees, of course! The great thing about purchasing a tree from Caryl is that she services what she sells. No sending it back or trying to get a refund if there is a problem. I don’t know of any other retailer in my town that does that. 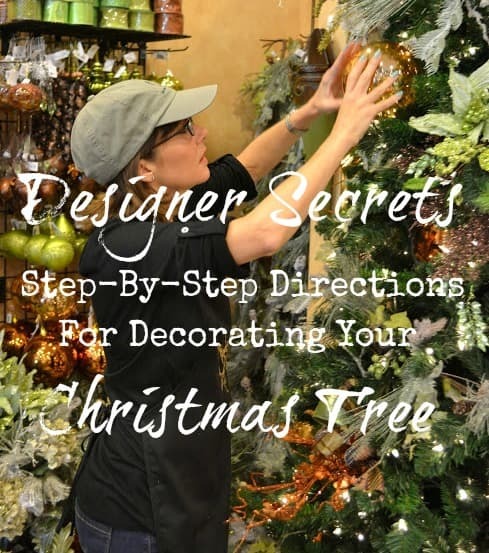 These tips are great, but want to know how the professional Christmas designers decorate their trees step-by-step? Click HERE to find out. There’s a fun video too! Great tips Suzy! We’re adding a second tree to our home this year, and these tips are great for making Christmas trees even more beautiful! Hi there! Is it proper to use 2 different types of garland? 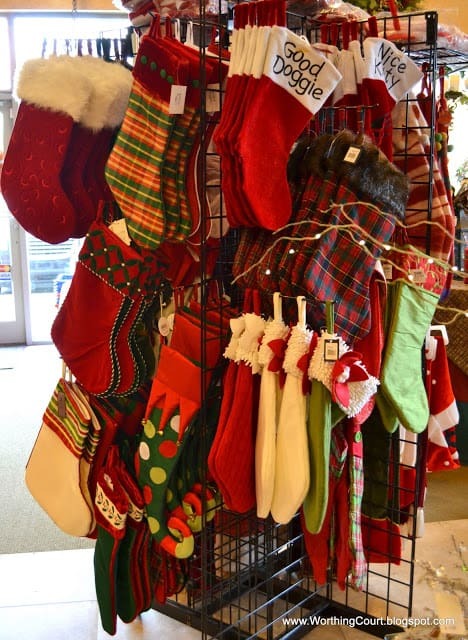 ..in other words, one type of garland around the frame of your front door, and the other on your gate? Hi Georgia. Sure! I think mixing multiple types of garlands is just fine.